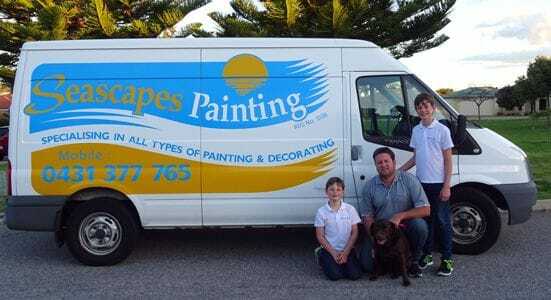 Seascapes Painting was established and has been trading in Mandurah since 2006. We are a fully qualified and registered business and have more than 22 years experience. There have been many changes for the painting industry in that time but one thing has remained the same, our clients still demand an excellent paint job and service only a qualified team of painters in Mandurah can deliver. We are a professional company that understands the work we do requires respect and care. The truth is getting an excellent paint job from a qualified tradesman shouldn't cost any more than getting a poor paintjob. The key is to choose a painter that understand your requirements and deliver on what they promise. It's about using the correct products for the job and using techniques to give you the best possible finish that will stand the test of time. Seascapes Painting only employs qualified tradesman that have the skills and ethics we expect. We are also fully insured and guarantee that all work is carried out in accordance to paint manufacturers specifications and to guidelines set by the Painters Registration Board. Find out what our customers think of us. If you are selling your home you will want to make the best possible first impression. We are experts in colour matching and can work to your budget. When it comes to to renovating, only trust your home and valuable contents to a professional painting team. You'll be thankful you did.